Gen 1 and Gen 2 X-33 – I Already Have a Watch. 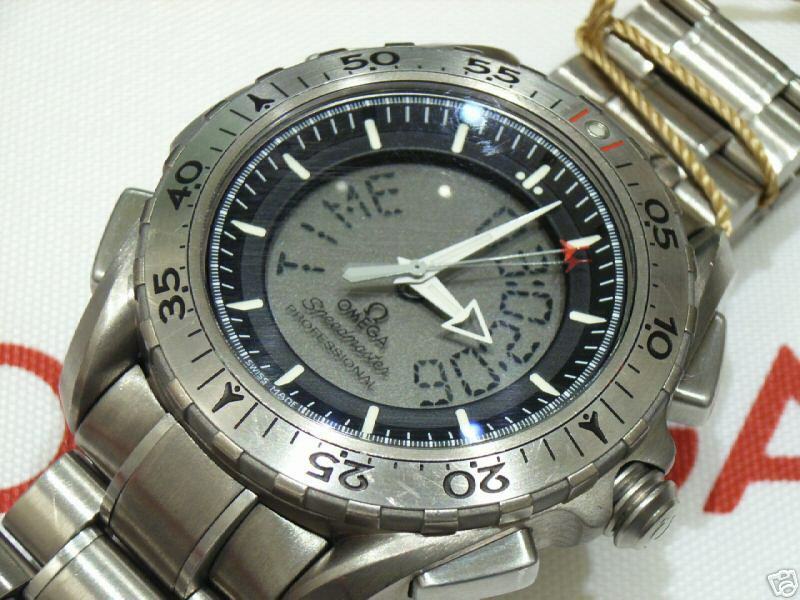 Omega made two separate production versions of the Speedmaster Professional X-33 in its lifetime. 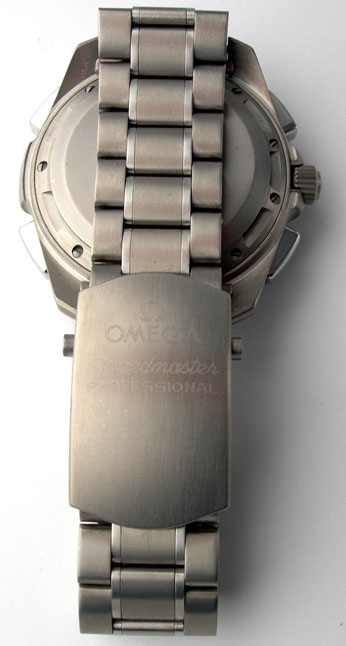 The first version released in 1998 is commonly known as the First Gen X-33 (or at least it was so known following the introduction of its successor) and was given the Omega Product Identification Code (PIC) number 3290.50.00. 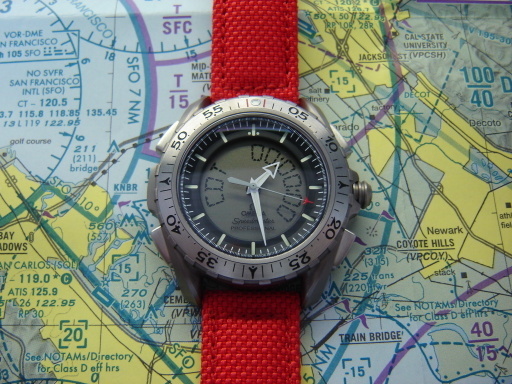 In 2001 Omega released an updated version of the X-33 now known as the 2nd Gen model, PIC 3291.50.00. The two versions are otherwise all but identical. 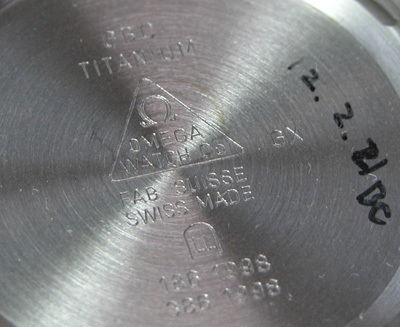 Thought it has never been confirmed by the Omega factory, it is also believed that Omega may also have introduced some changes to the design to address some common complaints like the infamous “collapsing crown” issue, and in fact the new crown design is widely believed to have been introduced for just this reason. However, it may just be that the designers had realized that a traditional knurled crown design was unnecessary if not impractical as the X-33 cannot be “wound” nor is the crown turned during any aspect of operation. As well, the stem of the Gen 1 X-33 is known to fit the Gen 2 crown without modification (see Craig’s Gen 1 to Gen 2 Conversion Guide) so it is quite possible that the internal design was not significantly modified. 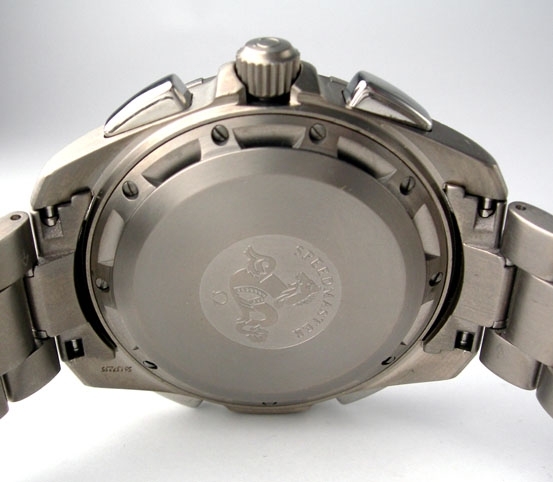 Note the polished steel bezel and pushers, more traditional and conventional knurled crown design, and red bezel marker instead of a luminous bezel pearl seen on later models. Note the new crown design, satin-finish brushed pushers and bi-directional bezel (it’s not a dive watch, after all) with luminous bezel pearl. Side view of Gen 2 case. 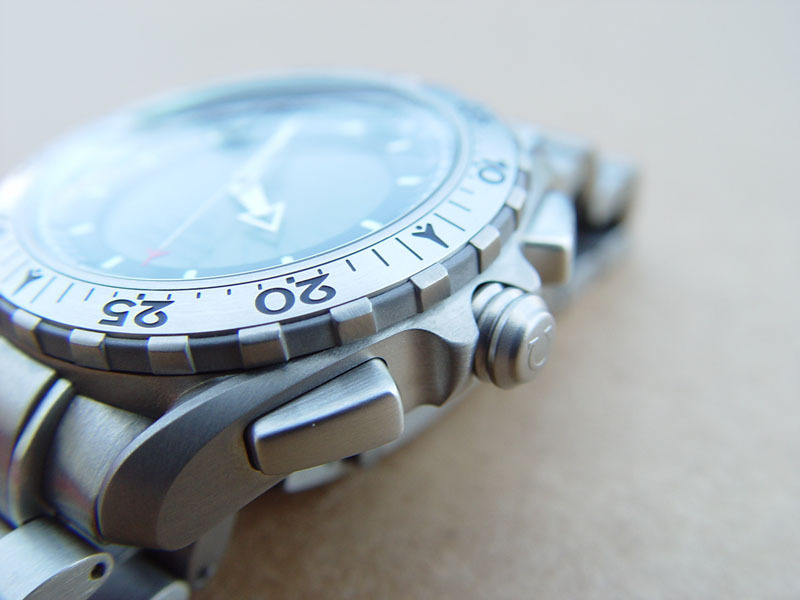 Note the updated crown and brushed-finish steel pushers. Photograph courtesyExpedition Exchange. Note how Martyn’s really excellent time exposure photo shows the individual 1-second “ticks” of the second hand as well as how the X-33’s “jumping” minute hand jumps in discrete half-minute increments. 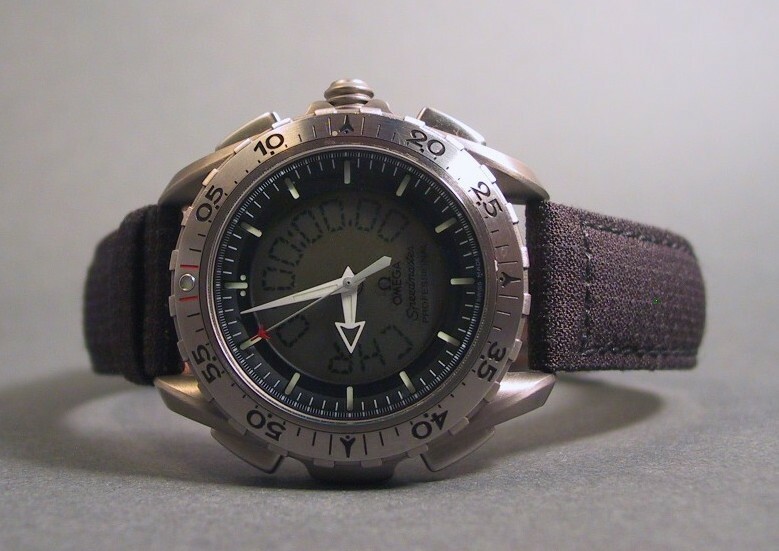 While fake X-33’s are uncommon this is an easy way to spot them as the fakes typically don’t bother to mimic this unusual and difficult-to-replicate feature. The hour hand is continuous. 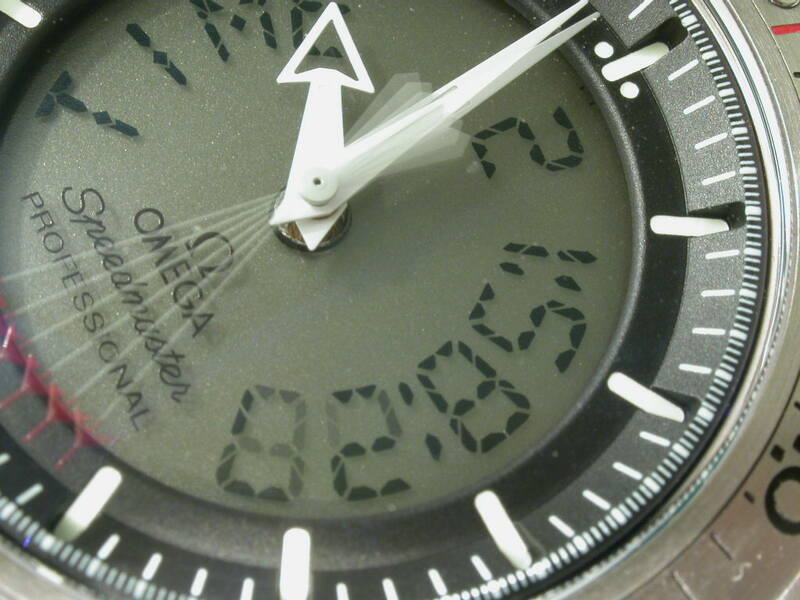 Note how the lumed portions of the hour and minute hands are of similar shape and size, which can make legibility a problem in low-light situations. 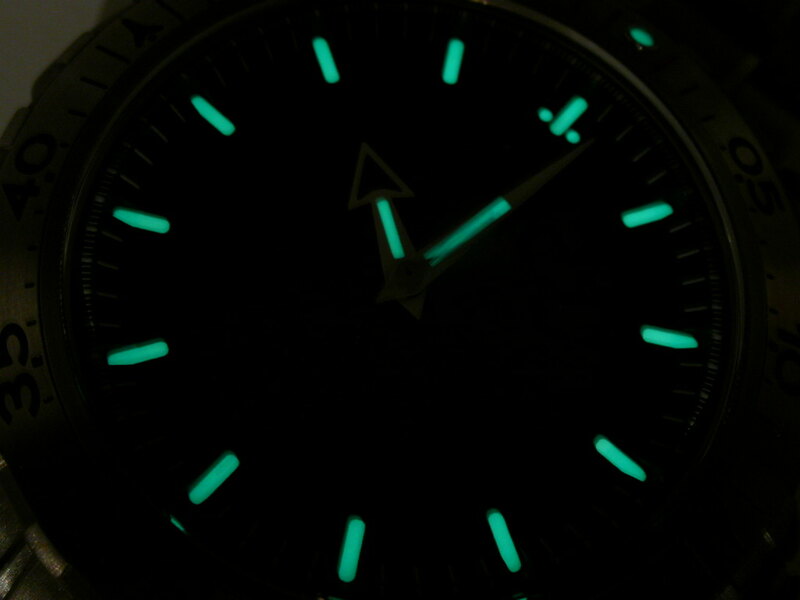 Otherwise the Superluminova luminous material is satisfyingly bright and visible. 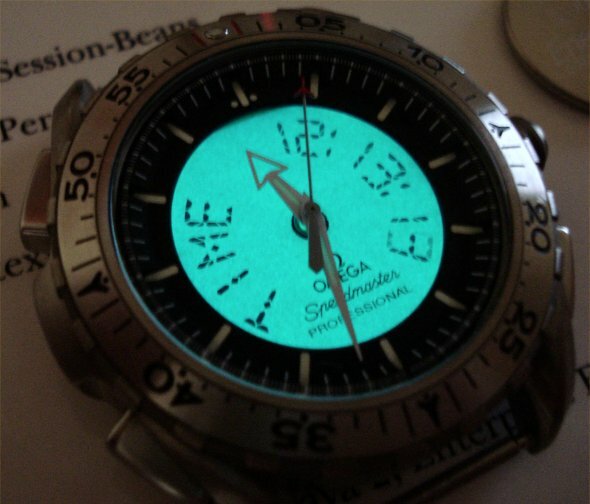 I WOULD LIKE TO PUCHASE THE 2ND GENERATION BEZEL CASE FOR MY (PIC 3290-50.00. DO YOU KNOW IF THAT CAN BE DONE. THANK’S LEE. 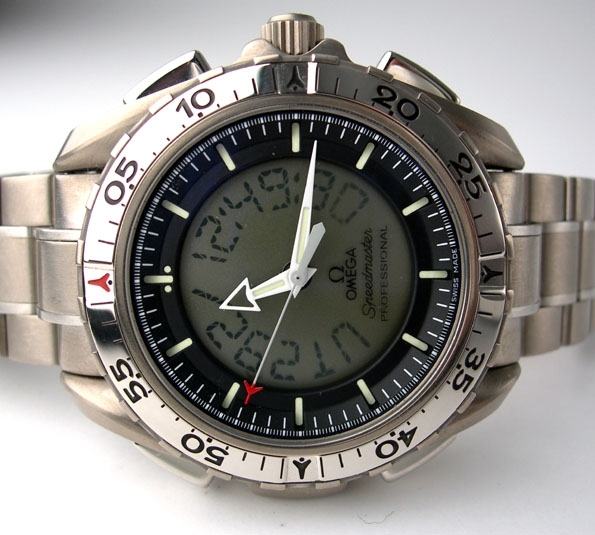 I have had mine since 2002 great watch no problems second battery change since I have had it. Last 2 Gen sold in Canada I was told. The first-generation x-33 was assembled in a way that gave rise to the collapsing crown phenomenon. 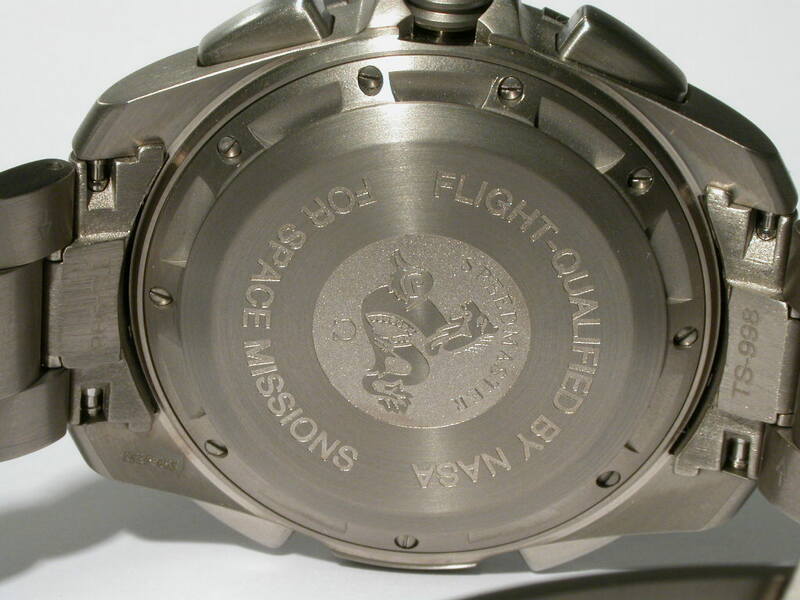 The assembly of the X-33 was corrected and the crown on the second generation watch does not collapse. I got this from the man at Omega in charge of the X-33. 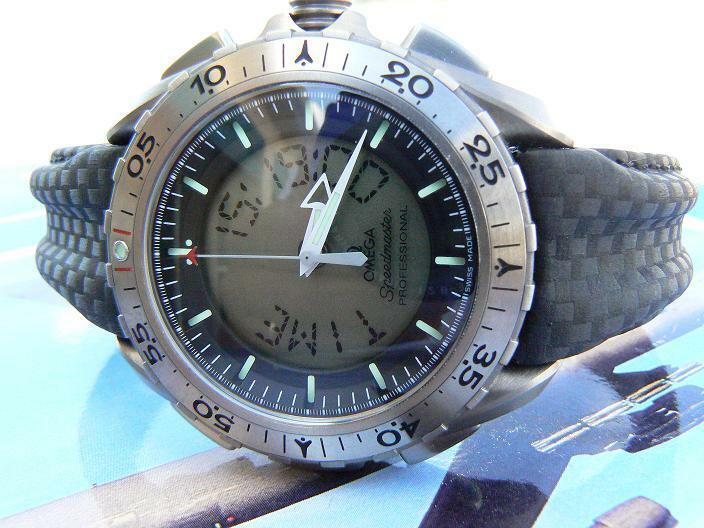 Great watch; 1st Gen Titanium. 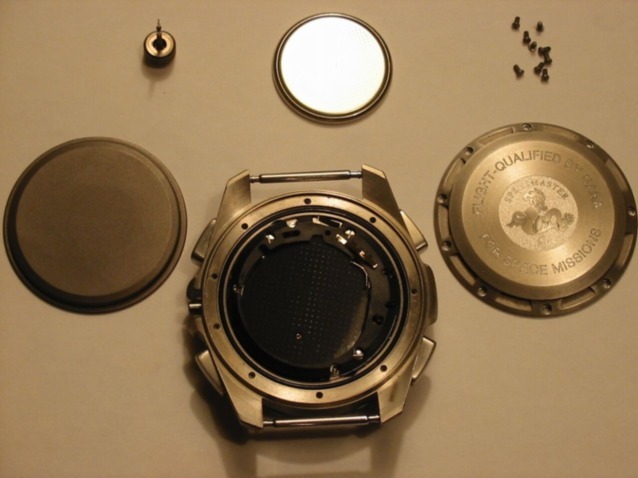 Replaced the calibre back in 2007 at this high end watch place on Wall Street. Since then 2 battery changes, no issues at all. Always get sealed at certified Omega dealers. 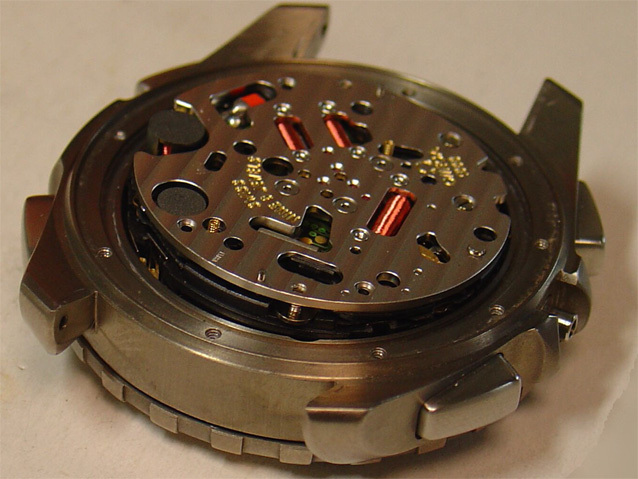 Is there anybody knows how to take out the X33 movement? It seems the pusher should be removed first, but, how to remove the pusher and the stem? Please, and, thank you all.